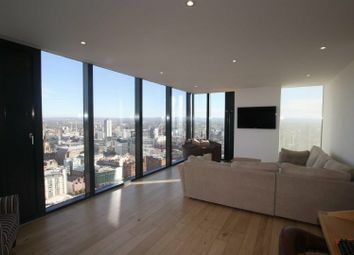 This Stunning three double bedroom apartment is located in one of the most Iconic buildings in Manchester City Centre- Beetham Tower, situated on Deansgate. 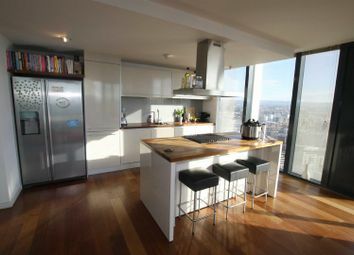 Located on the 36th floor this bespoke apartment is actually two which have converted into one. 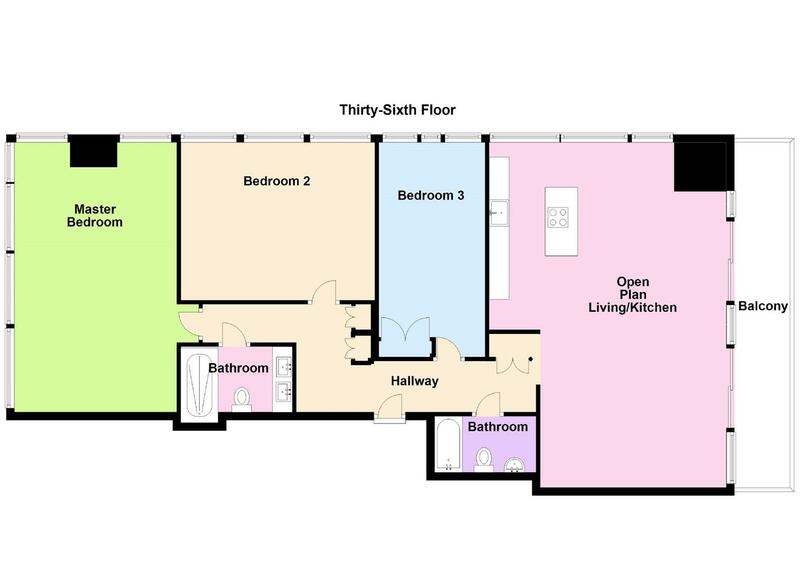 The apartment briefly comprises; three double bedrooms (one currently used as 2nd living room), two bathrooms, a large open plan kitchen/living space and a balcony. 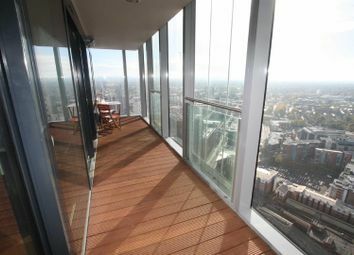 With incredible views of three aspects of the City Centre, viewings are highly recomeneded to get a real sense of the space. Underground parking & 24hr concierge included. Beetham Tower, 301 Deansgate remains the most iconic building in Manchester City Centre, standing 47 storeys high at the Southerly end of Deansgate. 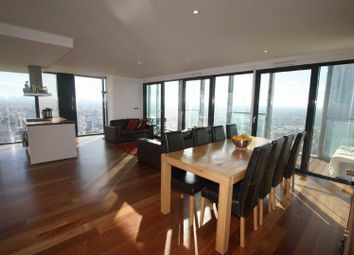 This penthouse apartment is located on the 36th floor on the Eastern elevation of the building, thereby offering unparalleled views to South, East and North elevations, therefore enjoying the sunlight for most of the day. 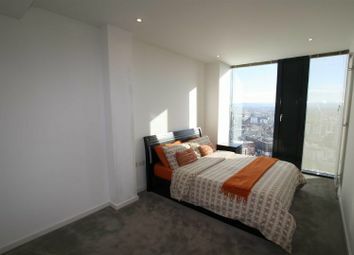 The development is entered via secure communal entrance with 24 hour concierge service. 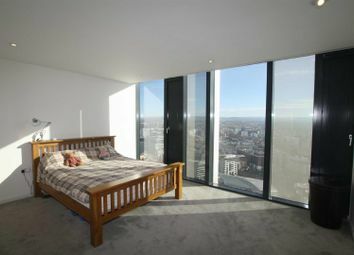 Extremely spacious space offering dual aspect views across the City Centre & beyond. This beautiful living area has large feature floor to ceiling windows, wooden flooring, two sliding doors leading onto the balcony area, plenty of space for a large dining table, seating area and TV, phone and satellite points. Range of high gloss wall & base units, wooden work surfaces, sunken 1 and a half sink with draining area and large island allowing room for a breakfast bar. Appliances include a freestanding Samsung American style fridge/freezer, brand new Hotpoint oven and Hoover dishwasher, original hob & extractor fan. Beautiful corner position bedroom with feature floor to ceiling windows and enjoying dual aspect views to both the North and East elevations, wooden flooring, downlighting, TV and phone points. Currently used as 2nd Living area. Feature floor to ceiling glazing to the East elevation, panelled radiator, luxury carpet, downlighting and fitted Wardrobes with plenty of storage space. Large double bedroom with fitted wardrobes, feature floor to ceiling double glazed windows, luxury carpet, panelled radiator, TV point. 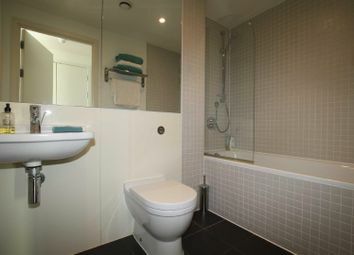 From the hallway close to bedrooms one & two this newly fitted bathroom has been done to a high standard. 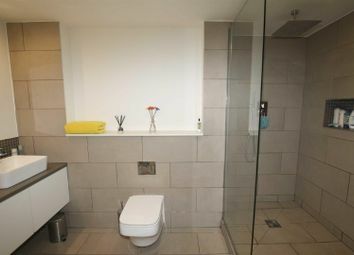 With two separate hand basins with build in storage, fully tiled floors, half tiled walls, walk in shower area with overhead rain style shower, WC and wall mounted towel rail. Second family bathroom with Duravit three piece bathroom suite, tiled flooring, partially tiled walls, large vanity mirror with storage, wall mounted towel rail. 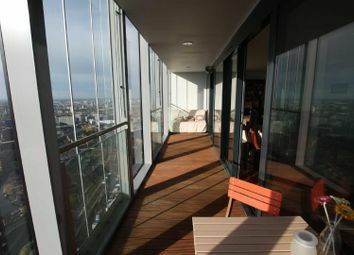 Stunning full length balcony overlooking South Manchester, decked flooring and patio heaters included. 24hr concierge, underground parking space included.